All they want is to own the land that they have been tilling for generations but hacienderos (big landlords) have hired an armed group, which signed a peace pact with the government, to attack them. BACOLOD CITY, Negros Occidental — Her husband and her in-laws have been living in Hacienda Baldevia for more than half a century already. Grace Juayong, 22, will do what it takes to put up a good fight because of threats to their homes, their livelihood and their very lives. “Life is hard here. There are times when we eat only once or twice day. We are very lucky if we get to eat at least three times a day. 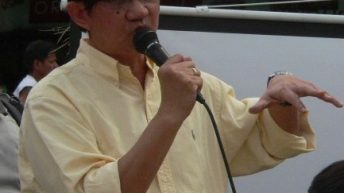 But that is very rare,” Juayong told Bulatlat.com in a mix of Filipino and the local language Ilonggo. 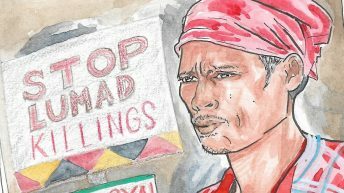 In a recent fact finding, medical and solidarity mission led by the Kilusang Magbubukid ng Pilipinas, the team visited and interviewed residents and workers of Hacienda Baldevia regarding their conflict with the armed group Revolutionary Proletarian Army – Alex Boncayao Brigade, who were reportedly hired by landlords to quell the peasants struggle for genuine agrarian reform. Their families are being driven away from the land they have cultivated for several decades now. Juayong’s 64-year-old mother-in-law was born in the disputed lands, long before it was claimed by Angel Villasor or Aquiles Baldevia. Their family earned a living by planting and selling root crops, bananas, among other staple food. Villasor then came into the picture and claimed to own some 400 hectares of the land. He hired the farmers to plant sugarcanes. In 1973, Villasor sold 24 hectares to Baldevia. The area then became known as Hacienda Baldevia. Her husband Henry, 28, who has been working in Hacienda Baldevia since he was young takes whatever job is available. At times he would be contracted and paid $13 per hectare of land he is able to cultivate or $21 for every hectare he is able to weed. “He takes any work possible. 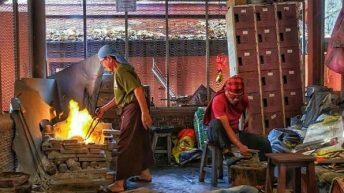 But he is only able to find work when it is in season: during planting and milling,” Juayong said. At times, she would also work in the hacienda to cover more hectares of land but under the same contract as his husband’s. Farmworkers were not allowed to plant anything else even on their backyard. Once caught, Juayong said, the private security guards would destroy it. There was a time when Juayong and her family decided to plant bananas but the guards chopped it. “The land owner said that the land is only for their profit,” she said. Their meager income, however, has forced them to plant root crops on idle lands beside the sugarcane plantation. The farmworkers did this collectively begining on February 25, 2011. “We decided to cultivate the land because of our impoverished conditions. We were not asking them for the whole land, we just wanted a small garden where we can plant something that we can eat during times when there is no work available,” she said, adding that they planted bananas, rice, sweet potato, monggo (mung beans), corn, coconut near the sugarcanes. In Negros, the period after the harvest and before the planting season, from April to August of every year, is called tiempo muerto because no jobs could be had and the sugar workers go hungry. But the farmworkers never had the chance to reap the fruits of their labor. 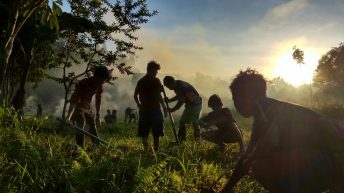 “We were the ones who planted but the goons of the landlord ate it,” Juayong said referring to the Revolutionary Proletarian Army – Alex Boncayao Brigade (RPA-ABB, who were hired by the Baldevias to quell their defiance. 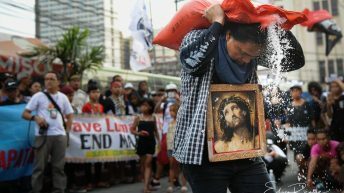 According to Willy Marbella, deputy secretary general for internal affairs of Kilusang Magbubukid ng Pilipinas, the farmers already filed a petition before the Department of Agrarian Reform to distribute the land. Since then, Baldevia has intensified its efforts to quell their struggle. 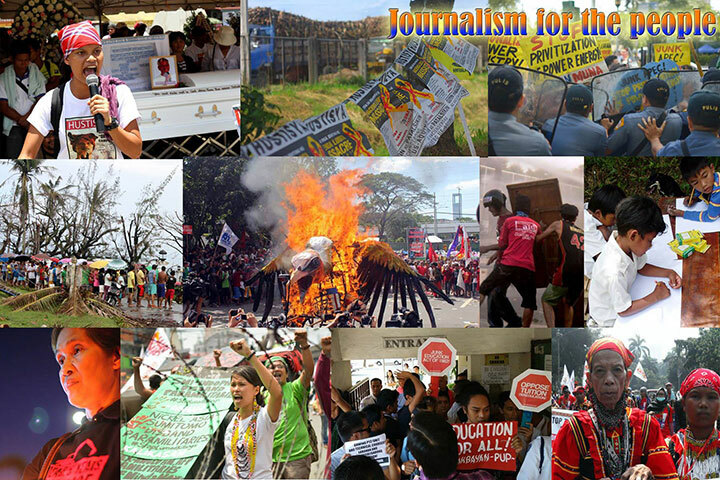 “The source of this conflict is rooted in the land,” Marbella said during the forum on the results of the fact finding, medical and solidarity mission, which was held at the University of the Philippines – Diliman. On December 6 to 7, 2011, the RPA-ABB first arrived in the hacienda. In a portent of things to come, Juayong said, several cases of harassments targeting the farmworkers were immediately monitored. Residents were summoned for a so-called “meeting” with the armed group. “It was a matter of our ranks fighting for our principles and our lives while they are here only for the money,” she said, adding that RPA-ABB members reportedly receive $23.26 a day. This was also the time that the armed group introduced themselves as members of the RPA-ABB. The RPA-ABBs would, at times, go from one house to another just to provoke a fight, Juayong added. The armed group also used psywar against the residents by spreading news that the members of the National Federation of Sugarcane Workers (NFSW) in Hacienda Baldevia are actually members of the New People’s Army. On January 22-25, members of RPA-ABB demolished 25 homes of the farmworkers, seven were burned to the ground. 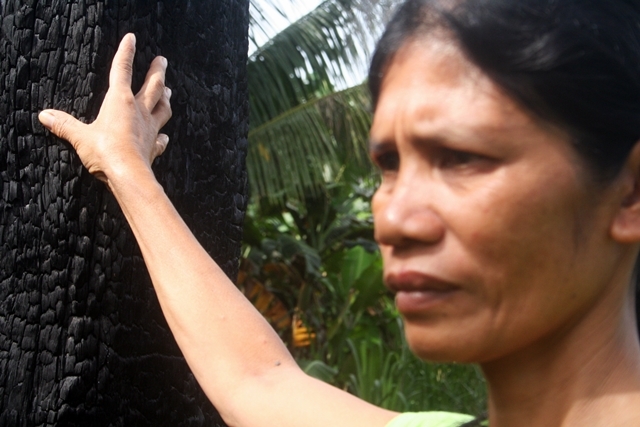 “They were even laughing while they were burning our houses,” Juayong said. 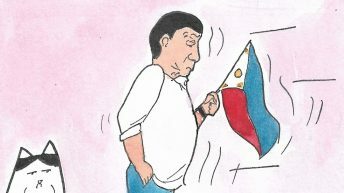 “They want us to leave the NFSW and support them instead,” Juayong said, adding that they were really afraid at that time. Some families who lost their homes were forced to put up makeshift tents. Others moved to a nearby sugarcane plantation. They do not know yet when they would be asked by its owner to leave the property. Still, others moved to homes of their relatives in nearby sub-villages. Their relatives, who also work as sugarcane workers, are also as poor as they are but have big hearts to accommodate them.